Below is the first of several videos on their way featuring original footage from the fashion houses of Paris. Up until the 1950’s Haute Couture or High Fashion traditionally catered for the upper class and wealthy. Now they began to seek a wider market, and within a year of a gown appearing on the catwalk in Paris or London, most women could access patterns in Vogue magazine for a fraction of the cost. Nowadays, Haute couture comes straight into our local Pennys stores within a few short years.By the end of the decade, the leading couture houses were global brands. Oddly enough, one of the most famous names in French fashion – Coco Chanel – does not really feature. 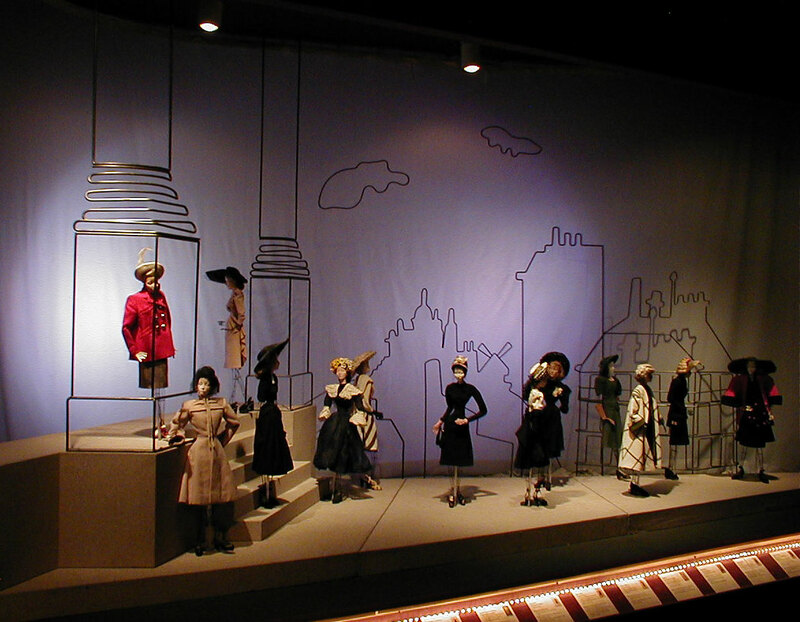 It really took off in 1946/47 when the Théâtre de la Mode exhibition took to the road with hundreds of dolls created by the likes of Christian Dior, Berard, Cocteau among others. The tour both raised funds for victims of war and helped get French fashion back on its feet. 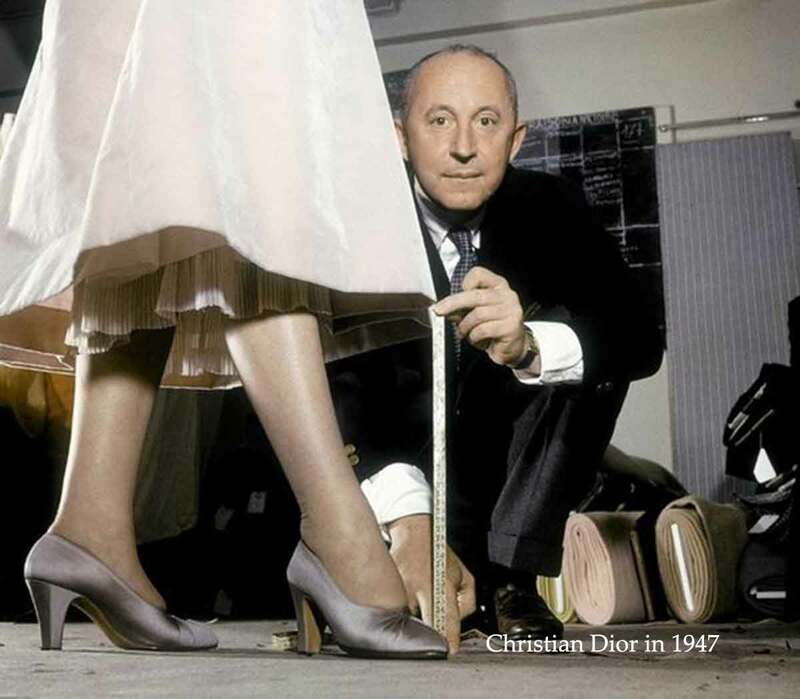 Christian Dior opened his fashion house in 1947 and became an instant hit with his voluptiously feminine gowns giving the two fingers to the austerity of the war years fashion. 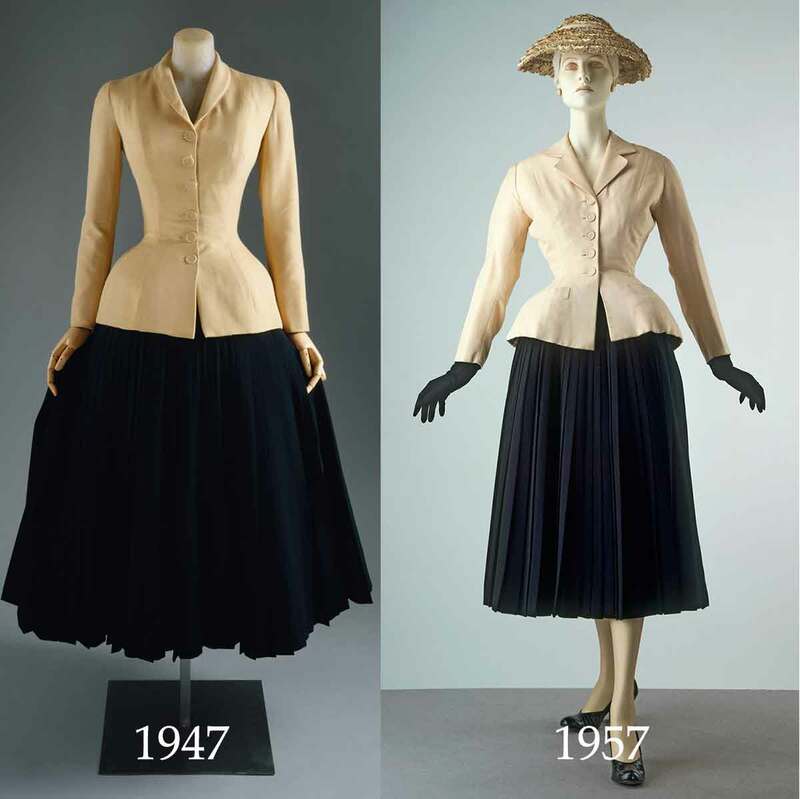 Long full skirts and full busts brought women back from the factories into high fashion again. It was adopted by Princess Margaret who loved the femininity and youth it represented. As a result she became quite a fashion icon herself. Here’s a selection of famous outfits by famous designers of 1950’s couture. Hardy Amies – New Look suit. 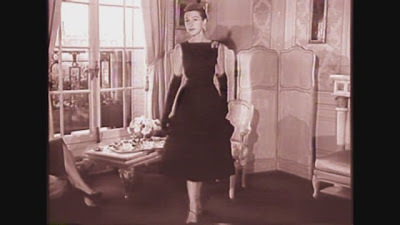 Zémire’ is one of Dior’s most historical designs. It was named after an opera by Grétry. The Bar suit is one of the most important designs from Dior’s first collection. A tight-fitting jacket with padded hips that emphasise the tiny waist. A long pleated wool skirt, backed with cambric, which actually turned out be extremely heavy ! Below to the left is the original, next to the 1958 adaptation. Dessès was fascinated with draping and classical form and he was famous for gowns of great technical complexity. Considered by many, including Christian Dior, as ‘the master’. He arrived in Paris from Spain in 1937 and became the dominant figure within Parisian couture. 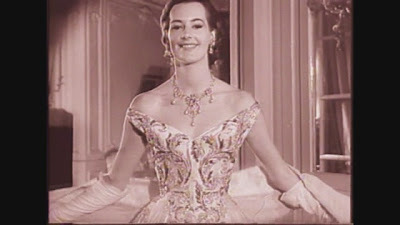 And finally – sit back and catch the ‘ latest’ in Paris Fashion from 1956 in this wonderful video. The Barrel & Fitted Suits by Cristóbal Balenciaga hearken back to an era when fashion just felt good. Love it! Growing up in the fifties I could never afford anything like that so I was quite happy making that sort of stunning dresses for my dolls. GlamourDaze is simply a fabulously informative blog for all things vintage in fashion and beauty. 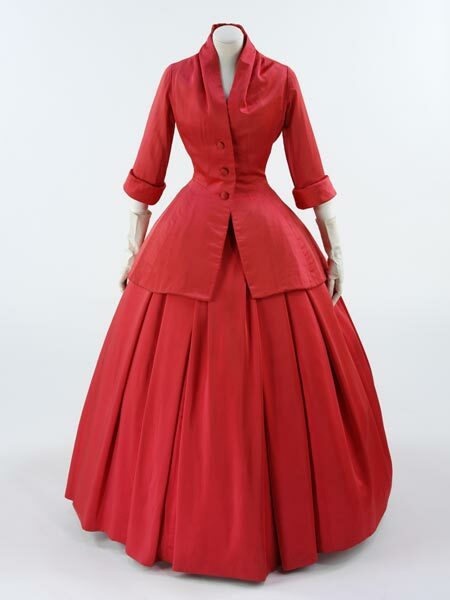 The Dior suit was amazing, but obviously were not too practical for women. Great post, as always! I love all the ladies talking to each other about their fantastic gowns! Absolutely beautiful clothes, especially the Christian Dior Zemire – stunning! !